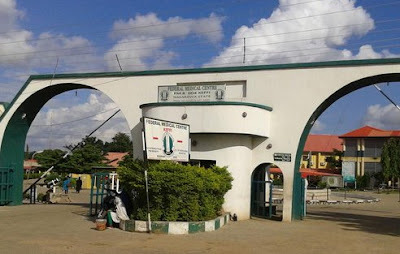 A 35-year-old man, Mr. Bala Wammay, who was said to be on admission at the Federal Medical Centre, Keffi, Nasarawa State, has been declared missing. Wammay, who was brought to the hospital in a state of coma, disappeared after he was resuscitated. He was said to have left the hospital without being officially discharged. Punch correspondent gathered that Wammay’s disappearance had generated tension between the FMC management and the family of the Adamawa State indigene. When contacted, the FMC Medical Director, Dr. Joshua Giyan, directed the Head of Clinical Service, Dr. Luka Samuel, to speak on the matter as he was out of town. Samuel stated that the hospital management had commenced internal investigation to ascertain how the patient went missing. He said he did not have information on the nature of Wammay’s illness, noting that he might have been mentally ill.
Samuel said, “We have taken an internal measure to investigate the matter before we reach out to you properly, because I cannot tell you exactly how and what happened, especially as we are not relenting in exploiting all means at finding out the man’s whereabouts even if it means going to his village.